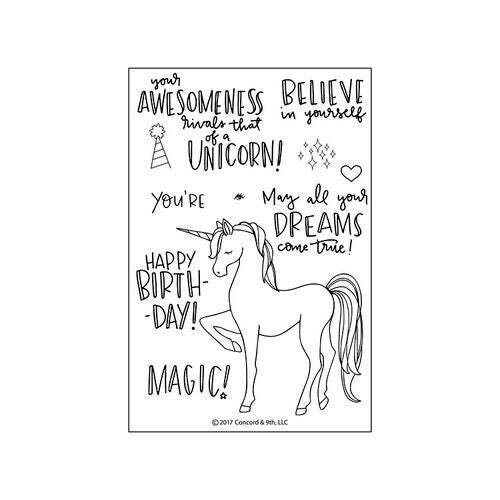 Add a magically inspirational sentiment to any crafting project with the Unicorn Awesomeness Clear Acrylic Stamp Set by Concord 9th! The package contains 11 photopolymer stamps that come on a 4" x 6" storage sheet. These stamps are ready for use with an acrylic block and your favorite inks sold separately and they coordinate perfectly with the Unicorn Die Set con-10229, also sold separately. Made in the USA.